Sneak Peek: RiRi ♥ M·A·C Summer! 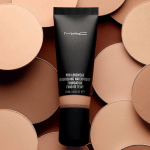 Remember that MAC RiRi Woo Lipstick that sold out in a second? 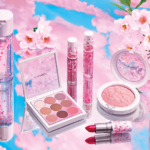 It’s OK, because you’re going to get a second chance to get in on a Rihanna and M·A·C-created summer makeup collection. Read on for the details…. 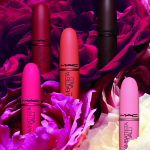 The RiRi ♥ M·A·C Summer Collection will feature three lipsticks, a blush/bronzer duo and Lustre Drops. I think it’s the perfect capsule collection with all the essentials you need for gorgeous summer look. The Powder Blush Duo ($26) inHibiscus Kiss, a cool coral blush and matte neutral bronze duo. I need this in a bad way! Lustre Drops ($20) in Barbados Girl; a rose gold liquid bronzer. Now here’s the important part. 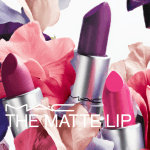 The RiRi ♥ M·A·C Summer Collection will be sold exclusively online and will be available June 18, 2013 at www.maccosmetics.com. Set your calendar, set your alerts, plan to be up at midnight and maybe watch the website a day or so early–just in case. 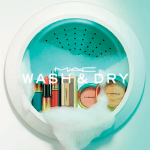 Will you be ordering anything from the RiRi ♥ M·A·C Summer Collection? I know I will!